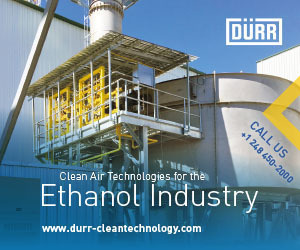 The U.S. Energy Information Administration has released the July edition of its Short-Term Energy Outlook, maintaining its June production that ethanol production will average 1.04 million barrels per day in both 2018 and 2019. European ethanol producer CropEnergies has reported its 2018-’19 financial year began with below-average revenues, but noted ethanol prices and the company’s financial performance are expected to gradually improve over the remainder of the year. The USDA has released the July edition of its World Agricultural Supply and Demand Estimates report, increasing its predictions for 2018’19 corn production and revising estimates for the amount of corn going to ethanol production. The Minnesota Bio-Fuels Association (MN Biofuels) released its 2018 Half Year Report to its producer and vendor members at a networking event in Prior Lake, Minnesota, July 11. The election of Andrés Manuel López Obrador as Mexico’s next president will add new elements to the already-complex U.S.-Mexico trading relationship, negotiations for a revised North American Free Trade Agreement and the global grains marketplace. An international team coordinated by CIRAD has sequenced the sugarcane genome. It will now be possible to "modernize" the methods used to breed sugarcane varieties. This will be a real boon to the sugar and biomass industry. On July 5, Agriculture Secretary Sonny Perdue announced the appointment of four members to serve on the United Sorghum Checkoff Program Board, which helps to increase demand for sorghum both domestically and internationally. Growth Energy announced July 9 that Jennifer Morris has joined the organization as its vice president of communications and public affairs. In this new role, Morris will oversee Growth Energy’s communications and public affairs initiatives. The U.S. Department of Energy’s Bioenergy Technologies Office has published the summary report for its workshop on Moving Beyond Drop-In Replacements: Performance-Advantaged Biobased Chemicals, that took place on June 1, 2017, in Denver, Colorado.